The early morning stirs its way into the dawn’s dark sky. And the evening moon, which became the night moon, which became the silent moon, which became the dawn moon. Now, it finds itself as the morning moon. I start the car, listening to the chugging engine. It sounds awful. But, the mechanic has yet to mention anything wrong with it. So chug on, dying engine. Through the windshield, we glimpse a yellow tree in the distance, a block away. The rising rays of sun make it glow, it, itself, looking like a sun tethered to the ground by a body of bark. Meesha and I, in the car, protected from the dropping temperatures of autumn. Tomorrow, Halloween. So, that makes today All Hallows’ Eve Eve. The dome of sky over us becoming less black, and less purple, and more blue, more blue. We thank the waking star, the coming daylight. It puts to rest das wampyr and the vurdalak. The weres, the wariwulf, the shapeshifters which tap on our windows through the night. They are cast away when the sun finds its long way over the horizon. We drive to start our day. Baby blue in the sky. Follow the highway, people not using turn signals, speeding, then going too slow. Do any of them think of das wampyr closing his blinds, shutting his shades, sleeping the day away? Do they think of the vurdalak, and the body she cannot control? 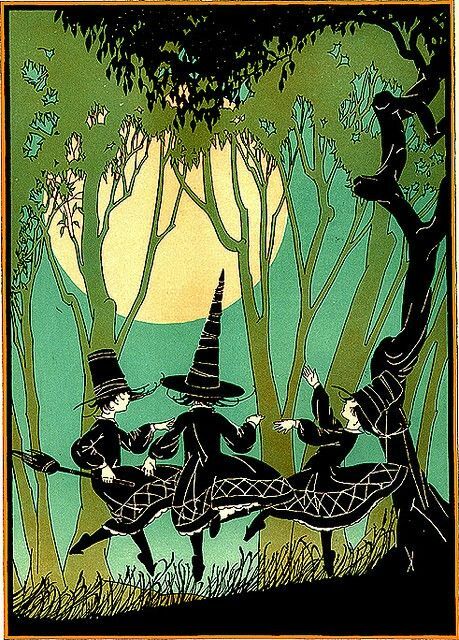 Do they know of her waking in a meadow, behind the home of a dead witch, the same blue sky above her? I’m certain they do not. The sun behind us, still low in the sky, Meesha holds her hands folded over her lap. I reach out, sneaking my hand into hers. The day moon floats before us. Hovering, white and blue, a mist of what the wariwulf knows as its birth and its rebirth. The day will be good to us, we pray, and do not tell each other. It is not a real prayer. A hope, really. The sun will leave, once more, before 7 P.M. ticks onto clocks, phones, stoves, microwaves, and watches. And we’ll be in before das wampyr throws open his curtains, steps out onto the streets. Before the vurdalak finds Meesha, before the wariwulf can tear me open. Before the morning moon, which became the day moon, which became the lost moon, which became the evening moon, and now, as the night moon – or if you’d rather, just the moon – before that moon shows itself, we are inside. We are closing windows, and double-locking doors, and cooking dinners, and indulging in cool deserts, and waiting for Allhallowtide. When we can sit outside, when we can be shapeshifters and weres and sorcerors and undead, when we can deliver candies to growing children and their growing skeletons. Tomorrow night, Meesha, we watch the moon, then we feed the ghouls. It’s never too late! I appreciate even your comments reading like poetry. Thanks, sir. whoa, man, what a compliment. I can’t thank you enough. Like I’ve said before, I’m only trying to keep up with the high caliber work that you and others I follow produce. I could only wish to command words in the way you do, but thanks again. I really appreciate it.